You are reading these words in private. The people you are close to do not even know that you are struggling, scared about the shifting sand you find yourself standing on. Sure, over the years you had fleeting thoughts about being single again - every once in a while you were envious of the single guy you saw in the movies, your friends without kids who stay out late and sleep until whenever they want on the weekends, your younger brother who dates, travels, and scores great seats to the best games. This is not what you thought it would feel like. You are not liberated, you are terrified, empty, and lonely. Your wife was critical, demanding, and a shell of the fun-loving person she was ten years ago. But you miss her. Or, you miss something. You feel alone. You might not know if your kids wash their hair every day during bath time or when their last visit to the pediatrician was. But you know they need you, and you know that you need your own time with them. She knows this too, but there is a voice in the back of your head that reminds you that if things get ugly, they will be the ones that will suffer. She is a good mom, but she can be controlling and critical. They're good with her, but there is no way you are abandoning them. You also dread fighting the fight, and would avoid it at almost all costs. Your friends and family - the ones that know what is going on - only have horror stories about what to expect in this process." Lawyers are contentious and inflammatory." "You're going to spend $100,000." "She's going to take everything. "Why didn't you have a prenup?" Why don't you have a prenup, you wonder? Five years ago I almost died in the Pacific Ocean. I had walked into the water that overcast afternoon confident and carefree. But somewhere between playing in the surf and treading water, I lost my strength. All of a sudden I realized my arms and legs were exhausted, I was out of breath, and I knew I was in trouble. I fought a rip tide, stupidly, and yet with all of the force I could muster, battling wave after wave. I grew increasingly frustrated, then scared. What began as simple ocean play became a near-death encounter, which sobered me and ultimately redirected the entire course of my life and career. This was supposed to be my first relaxing week in a long time. Just a few months prior, I had quit my first job at a law firm, against the sound advice of loved ones. I was tired and disconnected from why I'd thought becoming a lawyer would be a good idea in the first place. But still, there was a small but dedicated voice inside that kept nagging at me, urging me to make my career into something I believed in. I didn't want to use my waking hours simply paying bills and passing the time. The week away in Costa Rica at a dear friend's wedding was supposed to be a welcome and relaxing break from the monotonous and demanding day-to-day routine that existed for me back at home in San Francisco. I really wanted the vacation to provide a sense of clarity and purpose. But instead, I experienced a complete breaking. Before I realized what had happened, the powerful ocean had separated me from safety and security. I was like a tiny, insignificant pawn, bobbing up and down on the surface of this deep and commanding body of water. The rest is a painful blur, but I remember the moments after I was pulled from the water, sitting on the beach, just staring at the sea. I did not marvel at the ocean's power; I did not reflect on white light or experience warm feelings about coming close to death or earning a second chance. Instead, I experienced gloom, insecurity, and sadness. I felt a quiet desperation. It was a dark time that moved in slow motion. But after a few months, just as quickly as it had come in, the fog parted. I felt a sense of clarity; I didn't feel cheerful or buoyant, but eventually I realized that I had a new perspective: I had experienced a profound vulnerability in Costa Rica. It made me uncomfortable, but it also reminded me that I was human. We work with clients all over the bay, but every client has a different set of important, unique needs - a seemingly silent struggle that feels isolated and foreign. Our attorneys - each of whom have personal experience with divorce and all the vulnerability and change that comes along with it - aim to guide you through your most difficult transitions. We believe that listening to you, focusing on what you want, rather than falling back on stock legal advice, is the only way to thoroughly understand a case and your desired outcome. 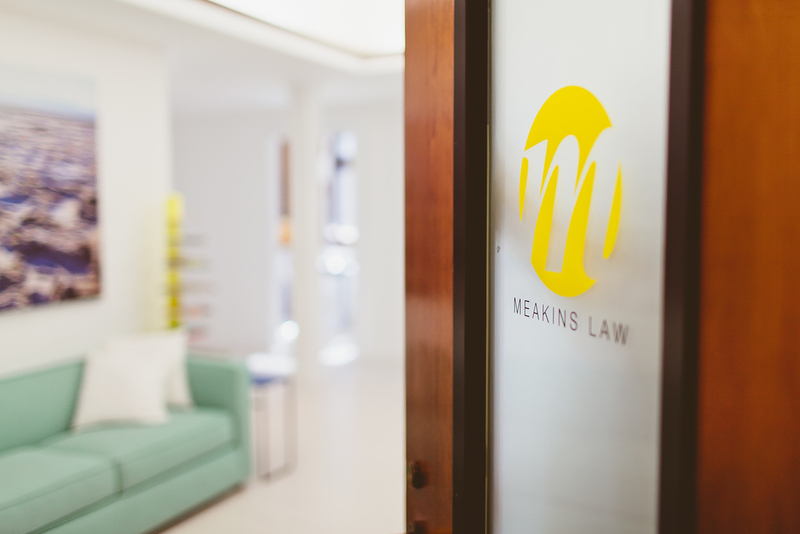 Our firm operates more like a start-up than a traditional law office. We keep our space minimal and open, and work with a “less is more” mentality. Our divorce attorneys are energetic, compassionate, and creative. Commitment and collaboration form the bedrock of our approach. This experience is not what you thought it would be; we get that. We make this about you. We are continually humbled by the glowing testimonials we receive from past clients. Case after case, we receive thanks not only for our expert legal representation, but also for the evident importance we place on connecting at the human level. We know we owe our success to our ability to truly listen to our clients and quickly respond. We are proud of the kind of firm we have created and the kind of law we are practicing. We understand that each family requires a unique approach. Our lawyers and amazing support staff are here for you. We understand that you feel confused and fearful. But we know that there is a path forward; a life preserver, if you will. Come in and talk with us about where you are at, and let's get you back on your feet.